More specifically about hollow points, the mistake is not training with them and only using ball ammo in your gun at the range. Why do people do this? Because hollow point and other self-defense ammunition costs more money! I get it, I'm broke too. But it could be a huge mistake, and we're about to discuss some reasons why this is. For example, a good friend of mine only used to train with his target ammo for the reasons stated above. His self-defense ammunition from Lehigh Defense cost a good amount of money, and, therefore, never got used in his training. He never put his .380 rounds through his little Kahr CW380, and carried it like that for several months until some smart gentleman I also know told him he should run some of his self-defense ammo through his gun so he knew how it handled. He took this awesome individual's advice (ahem) and the little pocket pistol fired the first round, then jammed up. He was in awe. His mind was blown because he carried that little gun around with him for months in Philly and he would only have gotten off one round before experiencing a failure. He trusted his life with a broken setup. Didn't matter if it was the gun, ammo, or a combination of the two just not liking each other because both products have great reviews. His setup was broken. As any person with a decent brain housing group would do, he loaded a different magazine with a different batch of his chosen ammo. One bang, then a failure. Suffice it to say that he does not carry Lehigh Defense ammo in a Kahr CW380 anymore. So, to you I pose a question: If you don't shoot your expensive ammo in your gun, how will you know that it'll work when your life depends on it? I'm a firm believer that when you train for your self-defense situations, you need to (sometimes) get as close to the scenario as possible. Because your self-defense ammo is different, either with heavier projectiles, higher pressures in +P, etc., you need to know how it handles. While it's likely a negligible amount for the average shooter, your self-defense ammo could, in theory, produce a different amount of felt recoil in your gun than it does with ball ammo. How would you know if you don't ever shoot it because it costs so much? Now, before I ruffle your feathers, let me go on to say that you shouldn't be shooting +P ammo till the cows come home, just a few rounds so you know what you're dealing with and that it actually works. Reason being, +P and +P+ ammo is loaded to higher pressures than regular ammunition is, and can therefore wear your firearm out faster. But, you do need to know how it feels when you shoot it. Does self-defense ammo cost more? Of course it does, for good reason: They're meant to hurt more and stop your threat. But what's worth more? Your life or a few bucks? I'll let you decide, but I shoot my chosen self-defense ammunition through my guns to know it works. Let us know in the comments below if you do or not. Oh, and just so you know, that .357 magnum cartridge up there at the top is made by G2 research. Stay tuned because I'll be talking about these a bit more in some upcoming articles. You made it this far? Want more ammo info? 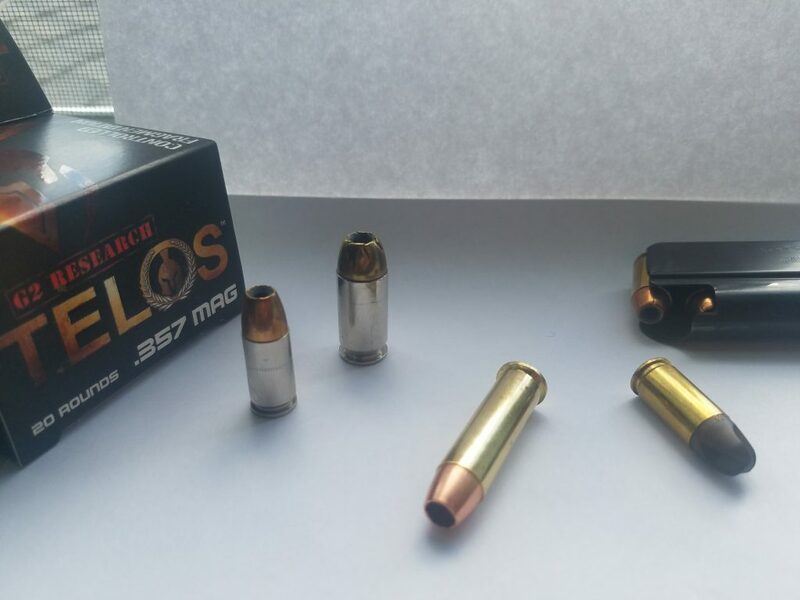 Check out Matthew's article about re-manufactured ammo. I’ve had similar issues with my SCCY CPX-1, but with certain target amo. My boyfriend has the CPX-2 and has never had any issues whatsoever, but for whatever reason, mine does not like this one certain brand. I can’t think of the name of it, but I know it when I see it. It comes in an all black box and is sold at Bass Pro but not Walmart. I can shoot of 2, 3, sometimes even 4 rounds with no issues but was never able to finish a whole clip without it jamming up. If you call the magazine a “clip” you shouldn’t own a gun. So true, and to exemplify Joshua’s view; my Diamondback 380 only cycles Hornady Critical Defense with rubber tip. I almost give up on this mini Glock. I won’t lie it did cost me cash, but I’m confidence that Critical Defense will go bang because of my investment. I’ve rapid fire with quick reloads over 75 rounds and no failures. I have also had the same results and FTF w/ Personal Protection ammo. I have seen somewhere that you should never trust a gun for self defense until you have fired at least 200 rounds through it without a failure, which includes your self protection ammo. Don’t know if anyone else does this but I have done this for years now so when ever I purchase a gun I am wanting to use for carry I do that exact same thing. My Glock 17 and 26 chew and spit out anything I put into it. The majority of my training is with ball ammo, but I do fire my “carry ammo” frequently. I use Hornady Critical Defense for my 26 and Critical Duty with my 17 and notice a distinct difference in the recoil and response with my “target ammo” and my “carry ammo”. If I go to the range 4 times in a month, 3 times I use my “target ammo” and the 4th time I use my “carry ammo”. Yes, my “training ammo” is cheaper, HOWEVER, you NEED to know the feel and results of your “carry ammo”. Remember, you life is at stake! Since I load my own bullets, I don’t have ay problems. The only problemt that i have Is reloading .380. The shells are so soft that they easily crush down. I had a similar issue with SigSauer JHP 124 gr in my Glock 43. The SS JHP would not feed the next round after the first round fired. Not a problem with my Glock 19 and the same ammunition. I discovered I needed to seat the rounds in the magazine by knocking against a solid surface. If I do that each time I get ready to insert a magazine, the Glock 43 is working fine except when I forgot to do that last weekend. I always run at least two magazines of JHP through both the Glock 43 and 19 each time I go to the range even though I will shoot about 200 rounds of ball ammunition when working on stance, grip, and sights on target. This is good “common sense.” I generally will run at least a box of 50 JHP through several magazines that I normally wear. Even that is extremely expensive, until you compare it to FTF. A box of .45 Federal HST is roughly $40 these days, so use it wisely. My Kimber ultra carry has never failed to fire any ball or hollow point I have put in it. My Para 14.45 Black Ops used to jam with ball ammo when brand new, but now fires anything I feed it. What do I feed them? Blazer Brass FMJ, Geco FMJ, Remington L45AP7 hollow point, Remington Golden Saber, Winchester Ranger T LE. 45 ACP. I carry the Para with Ranger T most of the time, the Kimber when I need a lighter load on me. The Para has very little recoil & I like it better on the range. Have always fired the first few rounds of carry ammo at the range. Now, I will run a complete magazine of the carry ammo each trip to the range. I used to carry a Sig P239 single stack 9mm. Ball ammo worked great. Then I tried some Cor Bon 124gr hollow points to use for carrying. The top round would load and fire fine but the second round would jam in the magazine causing a FTF every time! 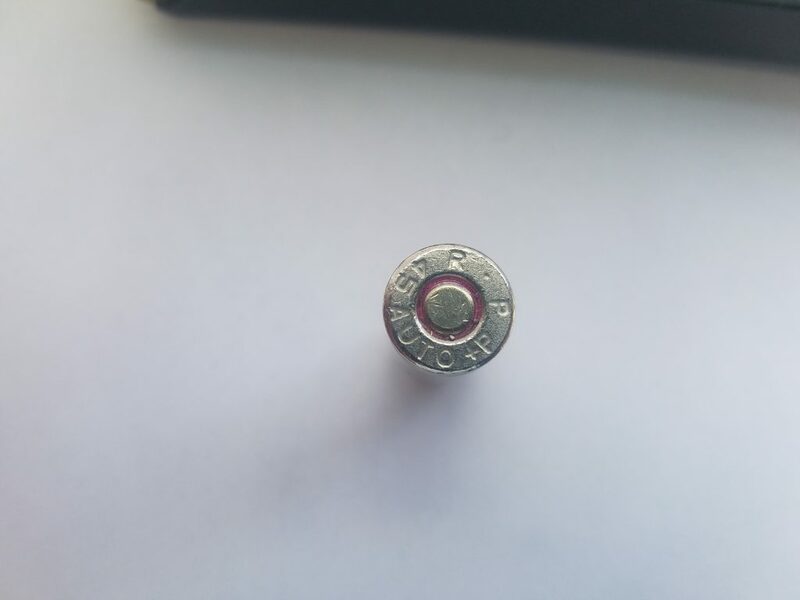 I figured out that the Cor Bon rounds were considerably shorter in overall length and also the copper jackets had very sharp points where the “petals” were folded at the top rim of the bullet. What happened was that the second round in the magazine was getting pushed forward and forced down on a 30 degree angle in front of the third and fourth rounds in the magazine when the top round was chambered. The sharp “petal” points on the tip of the second round would stick into the soft steel of the magazine and caused the FTF. I replaced the Cor Bon ammo with Speer Gold Dots and never had another problem. Always test your gun/ammo combo- your life may depend on it. I reload both ball and hollow point in 9 MM and 45 ACP. When I shoot IDPA I’ll use ball. For practice I’ll use hollow points. In the 45 I’ll usually stagger ball, then hollow point. I keep each caliber in their same bullet weight. They are both Kimbers, in 1911 frames. The 9 MM shoots down range faster. The 45 is a bit slower, but makes bigger holes! My rule for carry ammo concerns reliability first and foremost! Post 70 age group, several handguns of the same caliber, has wrought a peek at the incident probability in the bailiwick, led to FMJ’s assortments, Function over form. Military service configurations solve numerous consdierations. My Walther PPKs jams with any type hollow point ammo. Walther says its not designed for anything but FMJ. I know this horse gets flogged regularly but, gimmick ammo in any gun is subject to malfunction. Stick to Gold Dot , Federal, Ww Ranger T, or some of the other rounds that you know are used by LEOs. I buy case lots marked LEO use only and never have an issue. This ammo won’t get you in trouble in a courtroom either. That all made perfect sense. I’ve been somewhat guilty. Thanks for the slap on the back of my head. Simple logic really. I guess I’m lacking a bit in that department. But honestly, thanks! Great advice. Being the first of the year I swapped out my EDC ammo and will be taking the old ammo to range to do just this. Someone really had to be told this ? A police department I used to work for had a similar policy. Every time we had our range training, the 1st bullets fired were the duty rounds we were carrying. Now I know why! Great advise. Guilty and Ill be man enough to admit it. Thanks for the info. I didn’t know this. I will be shooting my defense ammo from time to time from now on. Thanx! My first magazine at the range is always the one in my carry gun. I know, they are not Fresh Fish and they don’t get stale, but it has been a decades-long habit, to remind me of the recoil feel of the defense loads. I agree. I carried a Kel-tec P-ll for a while and only practiced with FMJ ammo. I tried out my JHP ammo and definitely had ftf problems. I polished the feed ramp and while it lessened the problem, it still occurred about every 4-5 shots. Traded it in on a Ruger SR9C and have not had one problem since will all different kinds/brands/weight ammo. Same issue with me. I was doing a function check on my wife’s Sig P238 and racked a personal protection hollow point in it and it failed to chamber several times. Same deal. Shot ball rounds for target practice and found out much layer about this issue. Glad I did before she found out the hard way. It’s necessary to shoot whatever you carry. It’s necessary to carry whatever you shoot and shoot WELL with. However, I am more of a wheelgun man, and never worry about how the ammo performs, as long as my gun can take whatever pressure I am using. Thanks for the article. I have considered this and found the Hornady Critical defense rounds actually surprised, even shocked me when I fired the first round through my Kimber Micro 9. The effect might not be so profound in a heavier gun but I guess I would call it a re-training curve I had to go through. Great read, Josh! Yes, every once in a while I fire some of my home-defense rounds down range. You’re right, it’s a different feel, recoil is slightly stronger (not much, but noticeable). That being said, the hollow point hits the bulls-eye for me more frequently than my target ammo. So I’m happy to have that knowledge riding in my holster in the unlikely event SHTF. I’ve been carrying Browning HP Self Defense that matches the 100 rounds of Browning 9MM ball that I used for breaking the S&W M&P 2.0 pistol I recently purchased for concealed carry. By mistake, I took some economy ball ammo to the range but forgot to take my self defense ammo out of the magazine and shot about 5 rounds before I realized that I’d just spent more money on this range trip than intended! I went ahead and unloaded the mags of the expensive HPs and reloaded with UMC to match the grain of my carry ammo. The practice ammo shot a tad higher than the HPs, but not enough to make a big difference. I’ll always use the Browning HP for defensive carry, but my gun likes it a lot. I guess I was just fortunate to make a mistake and it insured that my gun likes the ammo I chose. Good article. Leave a Reply to Ken O’Brien Click here to cancel reply.